I’ve had the pleasure of working as a communications consultant with various amazing non-profits over my professional life. One of the biggest hurdles I often faced was convincing organizational leaders that what they did on a day-to-day basis was exciting, and that their everyday success stories would be inspiring to potential supporters. Because they were so close to their own successes, they often could not see how wonderful they were! This same loss of perspective is apparently plaguing a number of Americans. 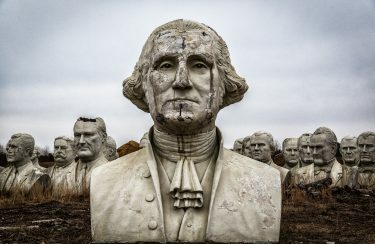 It appears some among us have become so accustomed to the brilliance of the U.S. Constitution, and indeed, the very foundational truths of America, that they have forgotten how precious these principles are. In the name of “forward thinking,” they casually cast off the freedoms that those before us fought for at great cost and sacrifice, in exchange for a set of unproven and God-less ideals. It’s very similar to good theology. The Bible’s entire teachings are brilliant and basically very simple. When asked, Jesus boiled everything down to two main points: Love the Lord your God with all your heart, soul, mind and strength and love your neighbor as yourself (Mark 12). A simple concept in theory but very difficult in practice, because it means self-denial, sacrifice and humility. Some would prefer to trade the Word of God for worldly philosophies that are new, unproven over the ages, and certainly not Biblical. In this edition of Family North Carolina, we examine yet another timeless concept that is on the cultural endangered list: Heroes. Many of us are apparently eager to exchange honorable hero archetypes for new models, like celebrities and sports figures whose claims to fame might include being the brattiest, most entitled, richest, and most willing to sleep around. We’ll read a perspective from Garland Tucker on the “Demise of Heroes” and how our heroes—or lack thereof—speak volumes about who we are as a society. Also in this publication, Willie Hodges Parker exhorts all Christians and churches to look at their role in race relations and racism, in an article called, “No Throwaway People.” Her fresh assessment of a tough issue is thought-provoking and implores us to get involved. In parting, let’s hope that we will all be able to discern which aspects of our history and culture are vital for maintaining the vision so brilliantly laid out by those who founded our country and our faith. Lets also fend off attempts by those who would cast off the precious jewels of our Constitution and faith in the name of cultural expediency.